Work meaningfulness is described as the amount of significance an employee perceives in their work. Employees who view their work as meaningful demonstrate higher work motivation, performance, and satisfaction than employees who do not. This new 2-page document discusses ways to change the perception of meaningful work. Written by Jarred A. Shellhouse, Hannah S. Carter, and Matt P. Benge, and published by the UF/IFAS Department of Agricultural Education and Communication, February 2019. The use of program plan development models within Extension has a long history of application based on environmental context, interest, and perceived value. The purpose of this 6-page article is to articulate a comparative overview of the various program planning models designed and employed by Extension professionals in education contexts. Written by John Diaz, Cody Gusto, and David Diehl and published by the UF/IFAS Department of Agricultural Education and Communication, January 2018. For over a century, Extension programs have used specific program development plans to create or refine services for clientele. This 6-page article seeks to provide an overview of fundamental tenets within program planning, how a planning process informs a development plan, and why these components are integral to Extension services. Written by John Diaz, Cody Gusto, and David Diehl and published by the UF/IFAS Department of Agricultural Education and Communication, December 2017. 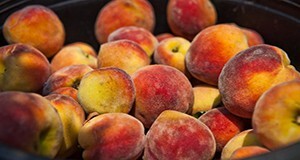 Peaches are among the most commonly produced fruits in the United States; understanding consumer awareness, perceptions, and preferences regarding Florida peaches is important to the future of the industry. This 5-page document addresses consumers’ perceptions of Florida peaches, purchasing motivations and barriers, preferred packaging options and opportunities, purchasing locations, and knowledge of peach health benefits. Written by Joy Rumble, Kara Harders, and Kathryn Stofer and published by the UF/IFAS Department of Agricultural Education and Communication, December 2017. Water impacts Florida’s tourism, agriculture, retail, and real estate development industries, all of which significantly contribute to Florida’s economy. 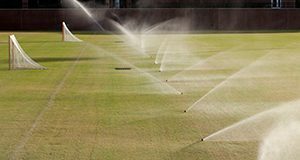 Enhancing and protecting water quantity, quality, and supply is of ever-increasing importance to UF/IFAS Extension. This four-page document will provide an overview of how to communicate with Florida residents about water, including information about their preferred communication method and what water-related topics are of interest to Florida residents. Written by Alexa J. Lamm, Phillip Thomas Stokes, and Caroline G. Roper, and published by UF’s Agricultural Education and Communication Department, September 2017. The growing conditions in Florida have given Florida-grown peaches unique characteristics that make them an ideal springtime snack. This 3-page document discusses the characteristics, health benefits, purchase, and storage of Florida peaches. Written by Joy Rumble, Kara Harders, and Kathryn Stofer and published by the UF/IFAS Department of Agricultural Education and Communication, November 2017. This three-page fact sheet, the fifth in a series on teaching different personality types, covers the practical ways in which Extension professionals can use the influence of personality type preferences to enhance team dynamics in Extension program development and implementation. This article will cover the Myers-Briggs personality type indicator, True Colors personality type indicator, and the Kirton Adaption Innovation Inventory. Written by J. Brianne Bird, Alexa J. Lamm, and Hannah Carter and published by the Department of Agricultural Education and Communication. 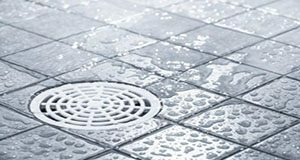 The newest article in the Encouraging Landscape Water-Conservation Behavior series, this six-page fact sheet provides Extension professionals with information on segmenting audiences based on their home owner association status. 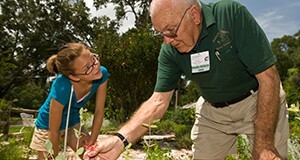 It provides data that shows how HOA membership potentially affects the barriers that households face when adopting conservation measures and explains how Extension professionals should use this information to enhance programming by strategically planning programs based on the similarities between clients.Written by Laura A. Warner, Alexa J. Lamm, Emmett Martin, Joy N. Rumble, and Esen Momol, and published by the Department of Agricultural Education and Communication. Securing and holding student interest is a major challenge for teachers. Once the curriculum is set, then teachers must decide how to teach the content, particularly how to build lasting interest in the content being taught. Students learn more and retain what they have learned longer when they are interested in the content, see its usefulness, and are motivated to learn and apply what they have learned. 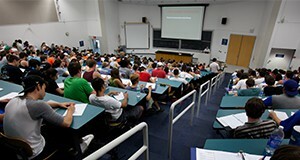 This three-page fact sheet discusses what makes a topic or lecture interesting for students and ways to improve teaching methods to keep students engaged and interested in the subject matter. Written by R. Kirby Barrick and Andrew C. Thoron, and published by the Agricultural Education and Communication Department. Student achievement can clearly be enhanced through effective teaching behaviors, but what kinds of teacher behaviors lead to higher achievement among learners? This six-page fact sheet describes five different teacher behaviors that can lead to higher student achievement. These behaviors are clarity, variability, Enthusiasm, task oriented and/or businesslike behavior, and student opportunity to learn criterion material. Written by R. Kirby Barrick and Andrew C. Thoron, and published by the Agricultural Education and Communication Department. Good teaching begins with well-written instructional objectives. Instructional objectives identify the knowledge, skills, and abilities that students will possess upon successfully learning the material. This four-page fact sheet outlines the three types of objectives (cognitive, psychomotor, and affective) as well as the different components of objectives (condition, performance, criterion). A well-written instructional objective will lead to clear teaching and ultimately, student success. Written by R. Kirby Barrick and Andrew C. Thoron, and published by the Agricultural Education and Communication Department. 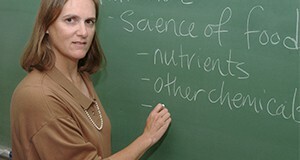 Teachers of all subjects must familiarize themselves with the specific needs of the students in their classrooms, especially in the case of students with autism spectrum disorders (ASD) and Asperger’s syndrome because students may vary greatly in the degree to which they are affected by these disabilities. This four-page fact sheet explains the differences between autism and Asperger’s syndrome and how instructors can modify their lessons to effectively meet the needs of learners with these disabilities in different types of learning environments and achieve greater classroom success for the educator and the learner. Written by Sara E. LaRose and Andrew C. Thoron, and published by the Agricultural Education and Communication Department. 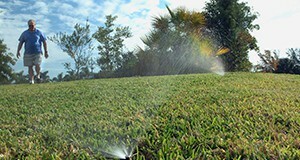 Should I adopt water conservation practices? Should I start a community garden? Should I stop using fertilizer on my lawn? These kinds of complex decisions are often difficult because many factors are at play, each with different degrees of importance. 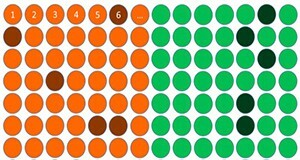 Conducting a force field analysis is a simple technique that can help an individual or groups more effectively make decisions and also more holistically consider key factors. Force field analysis allows you to make decisions based on the idea that a point of equilibrium exists within any system. Any proposed change causes a shift in this equilibrium. This four-page fact sheet describes how to conduct a force field analysis, provides a relevant example, and suggests possible applications. Written by Seth Heinert and Sebastian Galindo-Gonzalez, and published by the Agricultural Education and Communication Department. One of The Savvy Survey Series, this article will help Extension agents understand indexes and how to use them when evaluating an educational program. This six-page fact sheet provides an overview of constructing indices for a questionnaire. Specifically, it will discuss why composite measures like index numbers are important, what the index number means, the difference between indexes and scales, steps for the construction of indexes, and recommendations for use by Extension educators. Written by Anil Kumar Chaudhary and Glenn D. Israel, and published by the Agricultural Education and Communication Department. 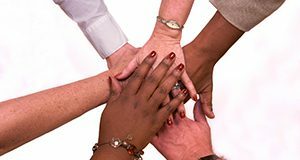 Group-administered surveys are a great way to collect information from participants about the outcomes of an event or program. 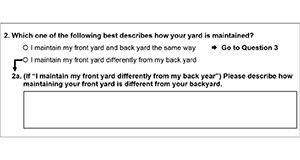 These kinds of surveys are best used for documenting short-term outcomes and can make use of an audience response system. This four-page fact sheet details how to develop a group-administered questionnaire, how to use an audience response system, and how to prepare and implement the survey. Written by Glenn D. Israel and Jessica L. Gouldthorpe, and published by the Agricultural Education and Communication Department. 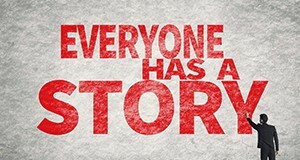 There’s nothing like a great story to catch people’s attention. 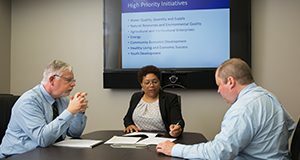 Extension faculty can use storytelling techniques to develop strong impact statements that communicate the results of their programming. This three-page fact sheet dissects the different elements of an impact story, explains how to connect a story to the large impact of the program, and provides an example of a success story with impact statement. Written by Amy Harder and Ruth Borger, and published by the Agricultural Education and Communication Department. In-person-administered surveys are a type of face-to-face interview that collects mainly quantitative data from a number of individuals and can be useful for collecting information from low-literacy audiences or obtaining very detailed information from agricultural producers or business owners about needs or program outcomes. A part of the Savvy Survey Series, this seven-page fact sheet presents the construction, development, and implementation of in-person surveys as well as how to prepare an introductory script, train interviewers, and manage the survey process. Written by Glenn D. Israel and Jessica L. Gouldthorpe, and published by the Agricultural Education and Communication Department. In order to evaluate their programs, Extension offices have to gather evidence about program outcomes and impacts. The first step of this process is to determine the appropriate amount of data needed, or the correct sample size. Using a sample can help Extension professionals save time, money, and labor because fewer people must be interviewed or surveyed; thus the complete set of data can be collected quickly. This nine-page fact sheet provides an overview of sampling procedures, beginning with how to determine the research problem, define the population, and decide whether to sample and going on to explain the different types of samples and how they are used. Written by Glenn D. Israel, and published by the Agricultural Education and Communication Department. The Savvy Survey #7: Formatting Questionnaires is the seventh of seventeen Savvy Survey Series publications from state specialists with expertise in tailored design survey methodology. Developing a high-quality questionnaire is critical for collecting useful data. After selecting the best questions, the next step is to format them to produce the most effective questionnaire possible. This 7-page publication spotlights several considerations, including question order, layout for best visual appearance, and pagination. Written by Jessica L. Gouldthorpe and Glenn D. Israel, and published by the Agricultural Education and Communication Department.